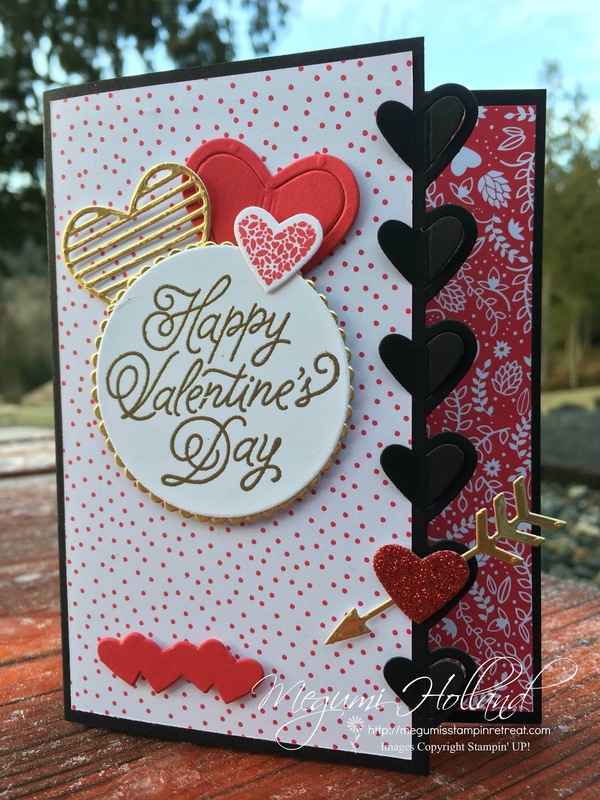 We made this fun Valentine's Day card at my Card Club workshops this month featuring the Sending Love Suite from the Occasions Catalog. Isn't it pretty??? 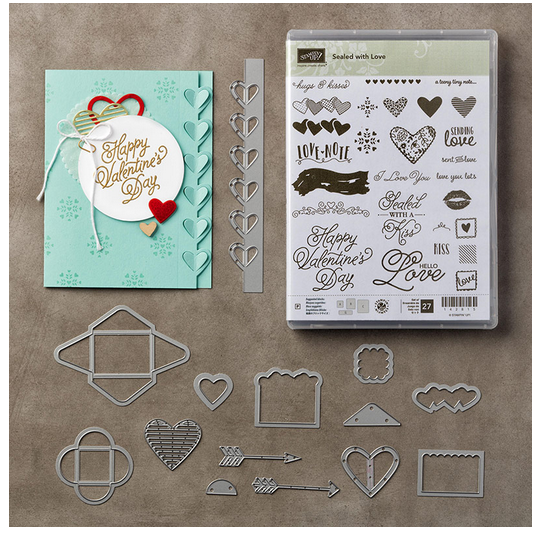 The Sending Love Suite includes the Sealed with Love Bundle (Sealed with Love Stamp Set and Love Notes Framelits Dies) shown above. What a fun assortment of stamps and framelits! I also used the Sending Love Designer Series Paper Stack from the Occasions Catalog. 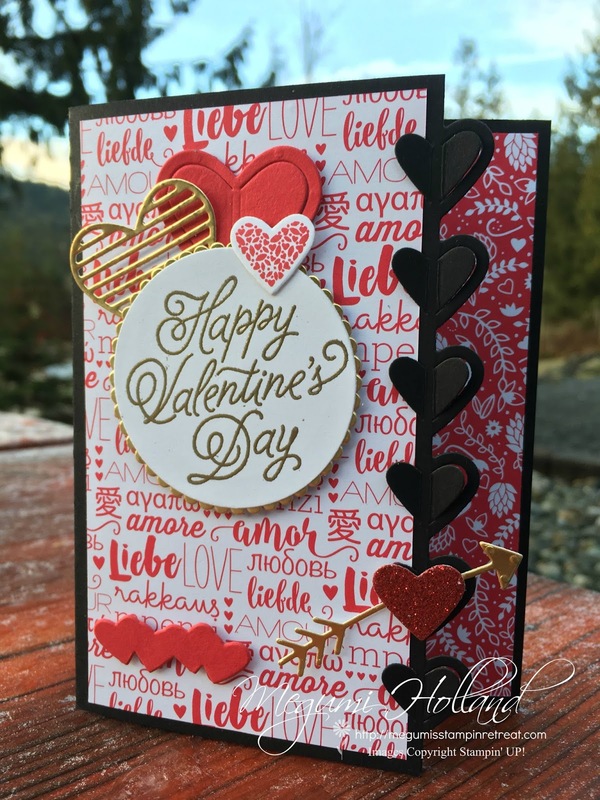 These sample cards have different patterns to show how you can mix and match these fun designs. 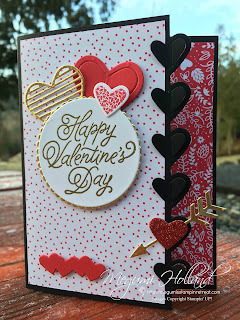 For this particular card I chose a different sentiment stamp which is also included in the Sealed with Love Stamp Set. 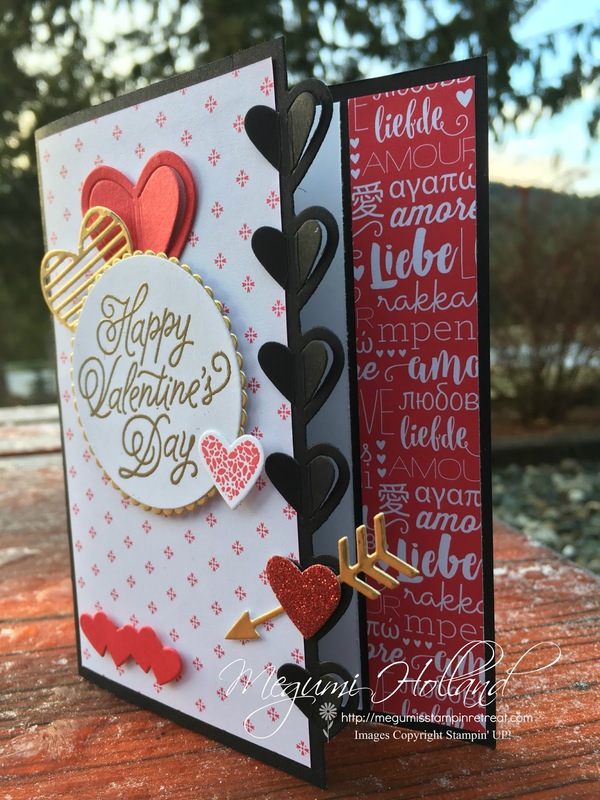 I heat embossed it with the Gold Emboss Powder which makes a perfect accent with the Gold Foil Paper. The Love Notes Framelits Dies includes a cool border die with 6 hearts in a row which you can use it anywhere on your paper to die cut. To die cut the right side of the card front, I scored at 1" and placed the border die on the scoreline and then ran it through my Big Shot. 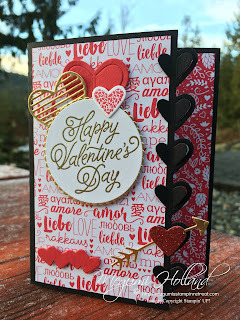 I love this border die! It's so fun that you can pop up those pretty hearts or keep them flat if you like. 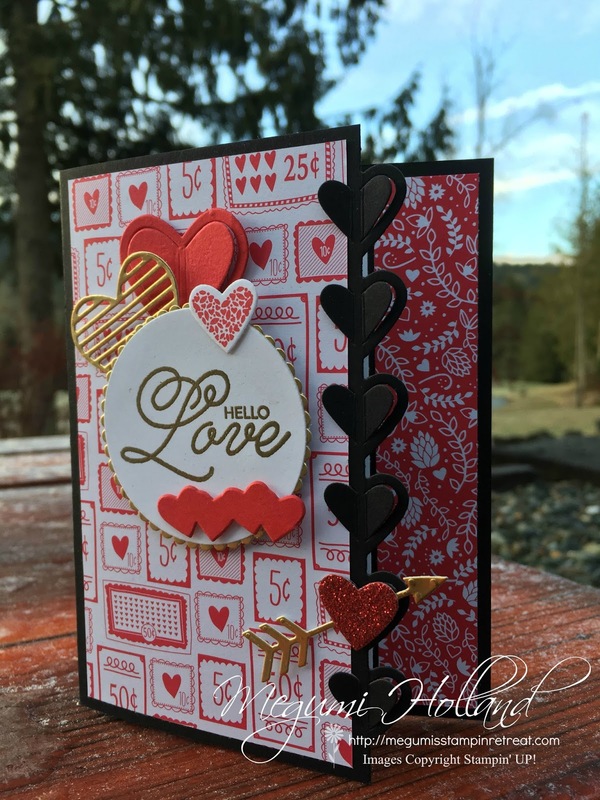 Basic Black (card base) - 5-1/2" x 8-1/2", scored at 1" and 4-1/4"
DSP (card front) - 3" x 5-1/4"
DSP (inside) - 1" x 5-1/4"
Whisper White (inside) - 3" x 5-1/4"